Ergonomically designed for long-lasting service and extra comfort. Features include pneumatic height control, polypropylene seat and back shells, a height and depth adjustable hinged backrest with spring-adjusted rocking mechanism, dual-wheel casters, and a 24" diameter reinforced nylon base. Seat cushion is 18"w x 17"d x 2" thick. 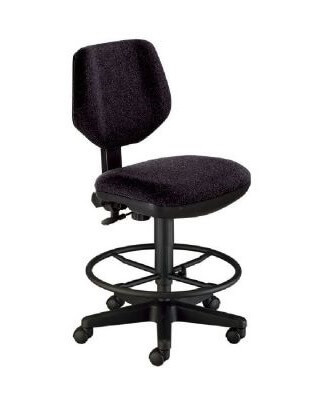 Backrest is 16"w x 14"h. Includes CK49 height extension kit and adjusts from 26½" to 30½". Height Range: 24" - 30 1/2"